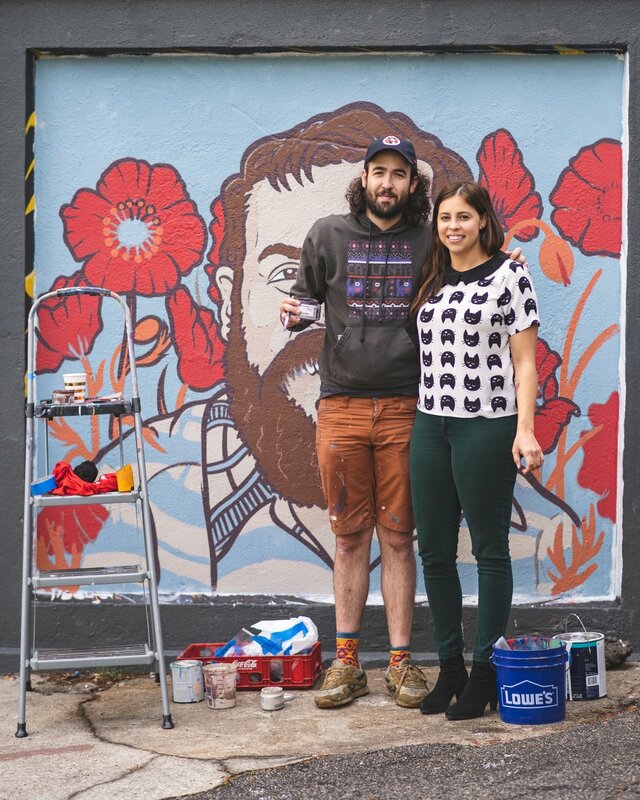 Curated by Austin Blue and organized with the help of John Dirga, the Stacks Squares project is a rotating mural gallery located in the Cabbagetown neighborhood of Atlanta. Every four months, a new group of artists paints over the previous works to create new murals in their place. For this particular mural, I decided to forgo any images of cats and paint a memorial portrait in honor of my brother-in-law, Jamie Hawkins-Gaar, who passed away unexpectedly in 2017. Jamie loved the neighborhood and owned his first home here with my sister. I have wonderful memories of Jamie in this neighborhood and it only seemed fitting to paint his likeness in the community he loved. This mural was on display from April 2018- August 2018. Making progress with my family’s help.